Creating a training ecosystem that fits - ThoughtForm, Inc. There are many benefits to a robust learning and training ecosystem. For example: more engaged employees, who are more productive, make fewer errors, and are better at meeting corporate objectives. In fact, research from Bersin has even shown a relationship between profitability and how much organizations spend on training, learning, and development. But successful organizations know that training isn’t a one-and-done activity. To achieve true knowledge transfer that supports the aims of your organization, learning and skill development has to be part of a broader ecosystem. This ecosystem not only considers the content you’re trying to share (the what), your key audiences and the best ways they learn (the who), beneficial and efficient delivery methods (the how), as well as timely and appropriate reinforcements and support (which is often the why communicated over and over again). 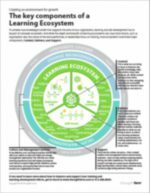 It is also important to acknowledge that learning ecosystems do not exist in a vacuum—and what works for one organization may not work for another. But why? It is because training ecosystems must fit within and reinforce your organization’s culture. And no two organizations are the same. For example, if your organization has a decentralized structure comprised of a staff of very autonomous, self-driven individuals, your training ecosystem will be drastically different than that of a more hierarchical organization that primarily has on-site teams who work in shifts. In the decentralized scenario, you’ll likely want to consider more self-directed methods to deliver your training, such as recorded webinars or eLearning. Your re-enforcement or boosting efforts may need to be triggered in a way that promotes timeliness and applicability. Job aides and other support may have the most influence in a digital format and are best shared via an intuitive, self-service tool. Content-wise, you may want expand beyond specific, topic-based information and develop content that also focuses on skills that your teams may rely on to maintain a decentralized, autonomous culture—skills such as clear email or written communication, mastering conference calls, or remote meeting planning. Contextual cohesion. Link how knowledge or skills can impact an individual’s work-life, their team, initiatives, or the overall success of your organization. This way, learners will be able to see the bigger picture and be more willing to absorb the information. They’ll also be more open to building new skills and changing their behaviors. Structural cohesion. Think about your various learning components and clearly define how each fits together. Ask yourself what next steps should be taken, what related content can be connected, and which support tools are needed. By giving the learner an intuitive path to improvement, you are also helping them feel secure moving forward. Visual and style cohesion. Develop the look and feel for your learning ecosystem to align with your brand and the goals of your program. This is impacted not only by the usual suspects (branding elements, color, font, illustration/photo precedents, and templates), but also how you incorporate tone (humorous, friendly, serious); sound, music and voiceover; and animations and movement. Taking learners’ preferences and needs into account ensures that your learning ecosystem is effective. Many trainers place emphasis on content, delivery, and style; but don’t forget broader aspects of the experience, including communication, timing, pace, choice, autonomy, and feedback. Much of this is about being a good host and finding ways to make learners feel truly valued and cared for—rather than making them feel like just a participant. Training programs aligned to both corporate and talent management strategies can help propel your organization to reach its goals faster. Evaluate your business objectives and identify the skills and knowledge your organization needs now and into the future. Then, adjust your content, learning pathways, mentorship, assessment approaches, within your learning ecosystem to match your goals and priorities. Most importantly, you then need to connect learners with the right application and advancement opportunities, so high-potential team members can translate knowledge and skills into the real world. Systems built entirely with in-house content and resources miss opportunities to leverage outside expertise (SMEs, vendors, classes, support materials, etc.). These can help you speed development, build credibility, and add a fresh point-of-view. On the flip side, relying exclusively on external sources can create an ecosystem that feels disjointed. And it may cause you to fail to consider the unique challenges and opportunities of your business. Effective training ecosystems take advantage of the rich array external resources, while buttressing them with home-grown resources to create genuine and applicable learning experiences. 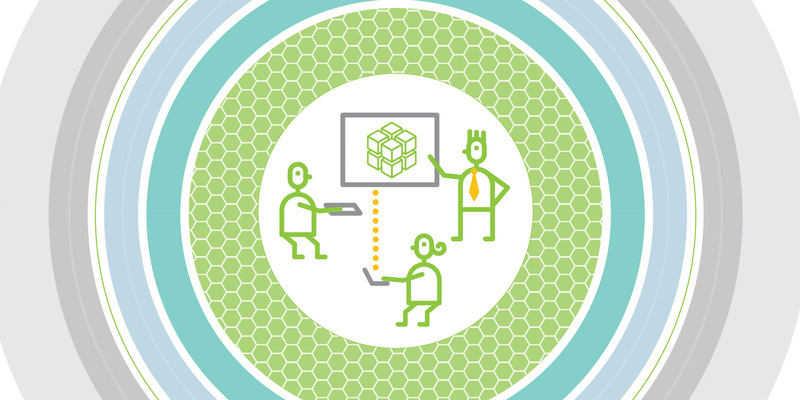 Developing and maintaining a training ecosystem is no easy task. But keeping cohesion, experience, alignment, and your resource mix top-of-mind will elevate your training ecosystem to positively impact your business. To get a quick reference of the key components of a training or learning ecosystem, download our visual white paper.